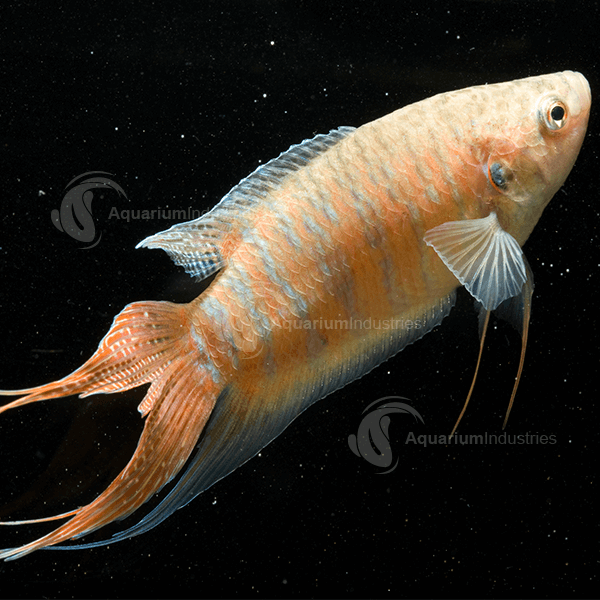 One of the first fish ever exported for the aquarium trade was the hardy yet beautiful Paradise Fish. 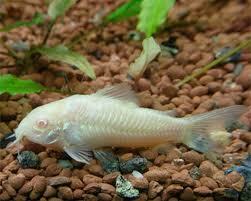 We now have three varieties commonly available – the standard Paradise Fish, an Albino variety and a black variety. Sexing Paradise Fish is quite easy – males are more coloured and generally larger than the females. 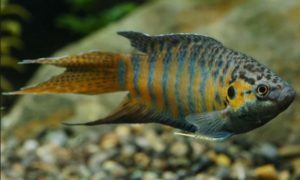 Breeding Paradise Fish isn’t too difficult. After conditioning the female for several weeks, add her to the aquarium with the male in it, then some plant matter, and sit back and watch the male build a bubble nest on top of the water for a day or two. Keep an eye on happenings from there on because as soon as the male “squeezes” the eggs out from the female, then the female becomes a target. She generally acts a little naive and will eat the eggs, which prompts the male to go bananas and start attacking her. You should remove her as he will eventually kill her for this.